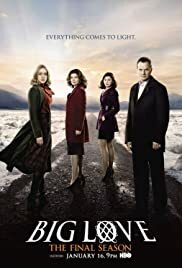 How many episodes of Big Love have you seen? Q: How Is What Bill Is Doing Illegal If He Is Only Legally Married To Barb? Being Sealed Is Within The Religion, Not The State. Wouldn't Nicky And Margene Be Considered At Worst Mistresses? Is Adultery Illegal Still In Utah? Q: What do Mormons believe, in a nutshell? Q: What is the "U" and the "Y"
I cannot honestly remember when I enjoyed a television show quite so much. There are so many well developed characters in this show, yet there is still so much we do not know about them. We get a few hints each episode. I love the complex relationships these intriguing characters are involved in. The plot is intricate and moves at a fast pace without sacrificing believability. There are a lot of insider references made to Mormon culture and religion. But you do not have to know a lot about the LDS church to enjoy the show. Bill and his family live in nice suburban style Salt Lake City neighborhood. In many ways they seem so normal, they make polygamy seem normal. But when the story takes place in the polygamous compound things seem anything but normal. Two sides of polygamy, as different as night and day. Bill and his family have a difficult time keeping their lifestyle a secret, this creates moral dilemmas as well as making the average nosy neighbor or coworker a very real threat. But Bill's biggest antagonist is Roman, the leader and prophet of the polygamist compound he was raised in. Bill's wives are very different in about every way. His first wife is really the typical Mormon wife and mom, very down to earth, modestly dressed but fashionable and very kind. His second wife, Nicki, is from the compound. She dresses in the prairie style of the compound, she is very manipulative and self centered. She is the daughter of Roman and her allegiance to her husband is questionable. The third wife, Margie, is the youngest. She is ditsy and insecure. By the way she dresses it appears that she may not be Mormon. She also provides the comic relief for the program. This show is definitely thought provoking as well as entertaining. I can hardly wait till next season. It is definitely worth catching up on the episodes if you haven't seen it, you won't regret it.